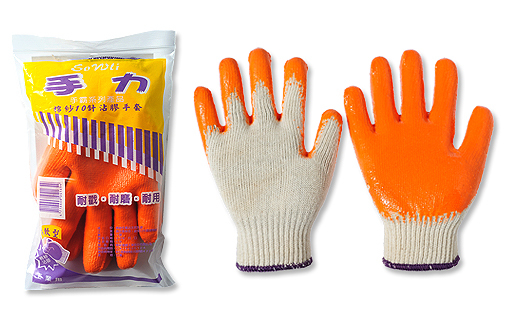 聯彰橡膠工業股份有限公司 - Rubber gloves, Latex gloves, Examination gloves, Cotton yarn rubber gloves, Doctor, Vision, Soubar, Handpal. 10 stitches cotton yarn rubber gloves are covered with natural latex rubber on palm for superior grasping with excellent anti-sliding effect. The part between the thumb and the index finger is strengthened. The material is soft, comfortable and durable. B2B Global-Trade, Global Machine, Global Bicycle, HiGo Shopping.